“Brands, like babies, are birthed, they are nurtured by culture and brought up by people"
Graduating with a masters in Advertising from Edinburgh Napier University in 2013, Tarjani joined Futurebrands in 2014. An affable and positive person to be around, Tarjani loves to travel and talk to different people to understand their lives and culture. 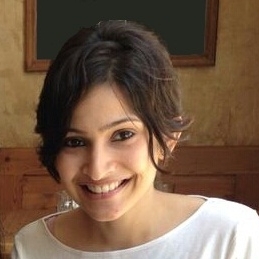 As a Brand Strategist at Futurebrands, she enjoys reading up on Indian mythology and drawing up 'people stories'. An amateur cook and painter, when not at work, she likes to experiment with Indian food and different forms of art.